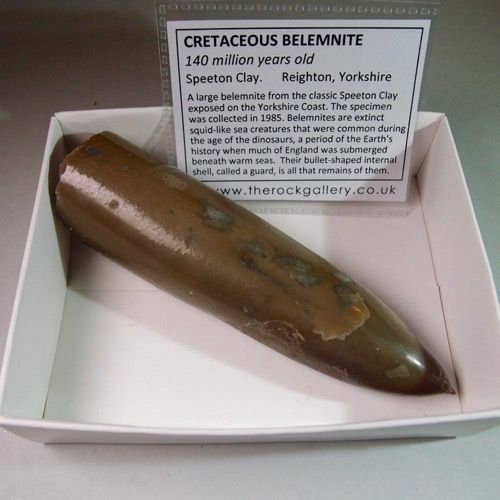 A large, almost complete belemnite from the classic Speeton Clay exposed on the Yorkshire Coast. 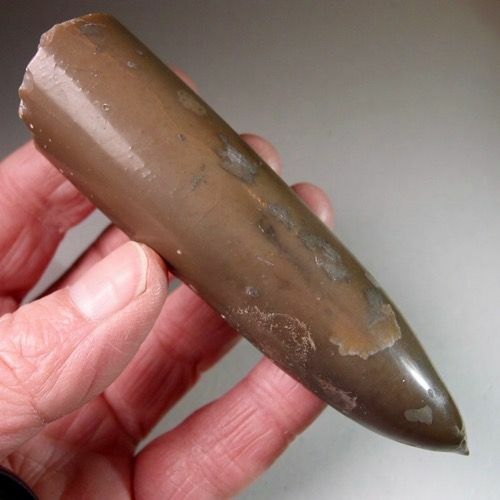 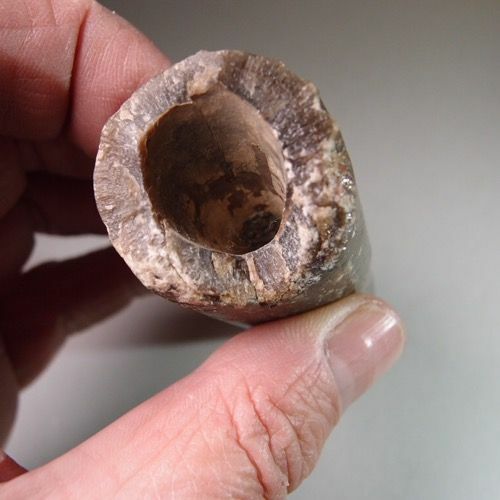 Belemnites are extinct squid-like sea creatures that were common during the age of the dinosaurs, a period of the Earth's history when much of England was submerged beneath warm seas. 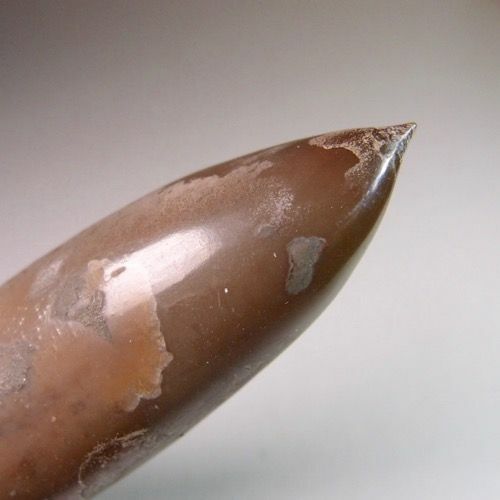 Their bullet-shaped internal shell, called a guard, is all that remains of them. 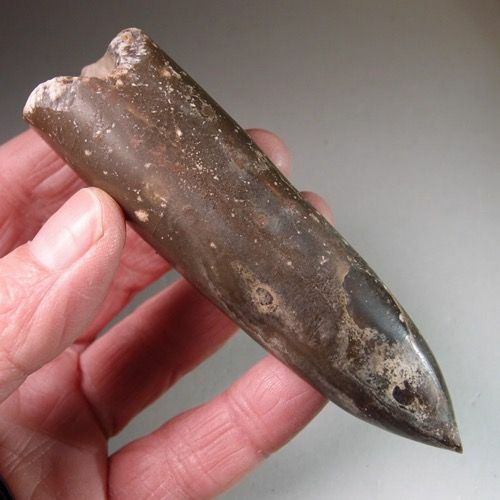 ​​​​​​​The specimen was collected in the 1980s and is from an old collection.